HRC’s report, Growing Up LGBT in America, is a groundbreaking survey of more than 10,000 LGBT-identified youth ages 13-17. It provides a stark picture of the difficulties they face -- the impact on their well-being is profound, however these youth are quite resilient. They find safe havens among their peers, online and in their schools. They remain optimistic and believe things will get better. 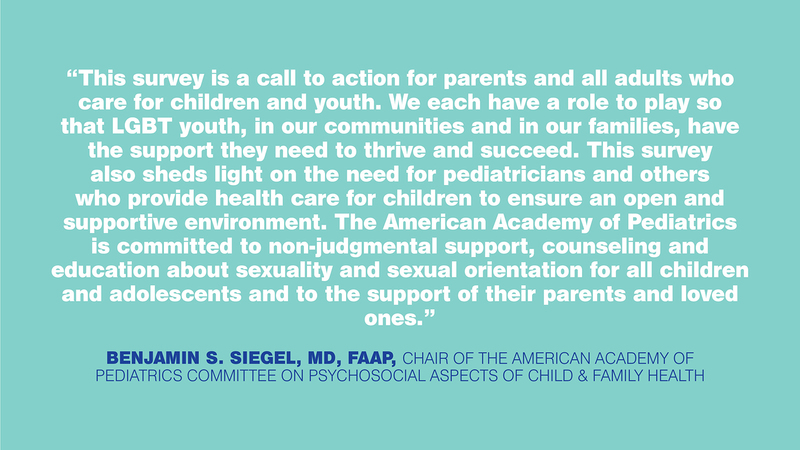 Nevertheless, the findings are a call to action for all adults who want ensure that young people can thrive. 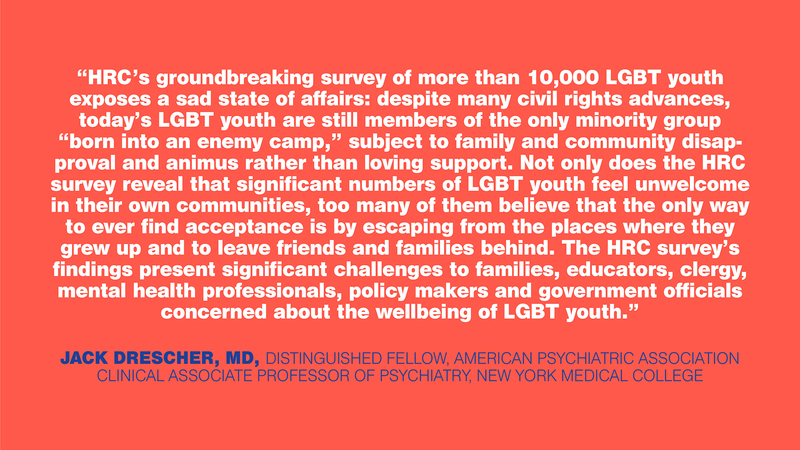 Learn more about Growing Up LGBT in America by downloading the PDF of the original report. 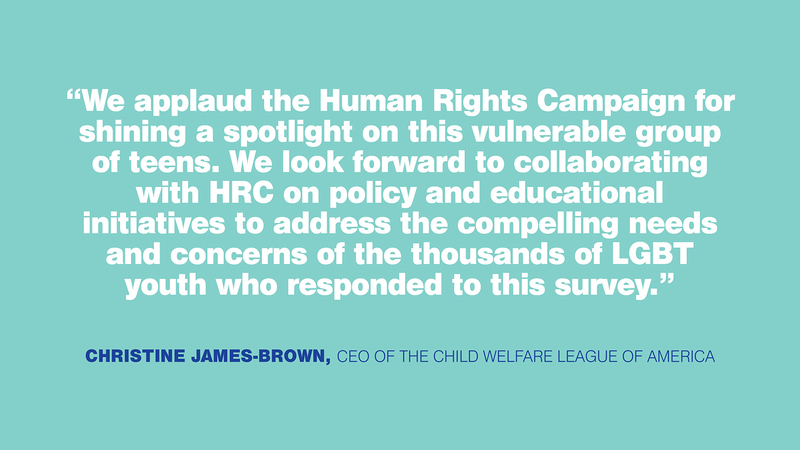 You can also read and download HRC's follow-up reports on Being Out, Supporting and Caring for our Latino LGBT Youth, Supporting and Caring for our Gender-Expansive Youth, and Supporting and Caring for our Bisexual Youth.